Using IPTV technology is more than just watching TV now. We have all used some kind of IPTV at home, either through our Comcast-type cable provider or with our subscriptions like Amazon Prime and Netflix. But imagine using this technology to bring hospital services directly to the patient’s bed, including the entertainment system we have at home. The time we spent in a hospital is usually unpleasant. Most hospitals are now creating a patient experience that will mirror how we deliver information and entertainment at home. Each patient’s bed can now have their own customized content using their own subscriptions while the TV also provides them hospital information, personalized schedule, and training programs to help you when you gets discharged. Today, hospitals are under immense pressure to provide exceptional medical service for their patients while keeping costs within their annual budgets. With hospital IPTV system, hospitals are able to improve staff efficiency, decrease operational costs and increase patient satisfaction. Keeping the patients informed is a vital task for every hospital management. Providing clear and accurate information about their schedule and treatment, enlightening them about the illness, makes them feel secure and comfortable. 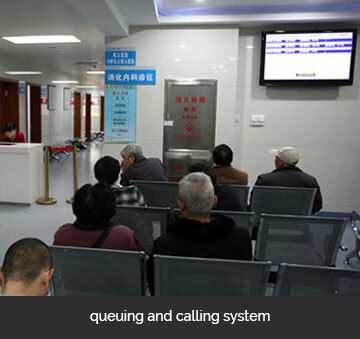 Therefore, an IPTV solution can display correct and on-time information about the patient’s medical conditions or the next phase of their treatment process. In addition, an IPTV allows patients to get general information and a better understanding of their treatment process and the nature of the disease. An Important feature of the IPTV system is the multi-language support in its user interface on the TV. Another key feature is to be able to easily change information that’s essential to each patient. In fact, the flexibility of an IPTV system allows for quick changes in different area like the program guide, information pages, and in-hospital digital signage. Some patients just want to turn on and watch TV. An IPTV system enables them watching live TV, video-on-demand or catch-up TV content. Patients can watch instant entertainment and never miss their favorite TV shows while in the hospital. Patients can also watch their own video content from USB drives or through mobile devices directly to their hospital TV. Another way to improve medical services for patients is to offer them more personalized services with information about their medical team, doctor or nurse on duty with detailed information directly on the TV set. Medical personnel can also send notification messages on the patient’s TV. In addition, patients can avail other services like ordering a cup of water or call a nurse directly through the TV set. The existing TV solutions in hospitals are traditional cable TV. They require more power and space, are hard to troubleshoot, and are non-customizable to each patient. With the digital IPTV system, the IT team will benefit from this SW based solution. IPTV systems will require a few servers, meaning it will take less space and decrease the power consumption. In addition, the IPTV system is much easier to maintain. It can serve multiple locations from the central node allowing for centralized administration and reduce the number of data centers. Video delivery is sent from one single location and it can be proactively be monitored to guarantee stable services. All Smart signage TVs are controlled from a centralized location, avoiding the need to go to each room for maintenance.